Madrid is a marvelous metropolis, not just because of it´s Real Madrid football club. The wide variety of cultural venues – from concerthalls and opera houses to theatres and museums of world esteem – as well as the architectural splendour of past centuries ensure that tourists and students from all over the world keep returning to Madrid not only to explore new places but also to revisit their favourite haunts. 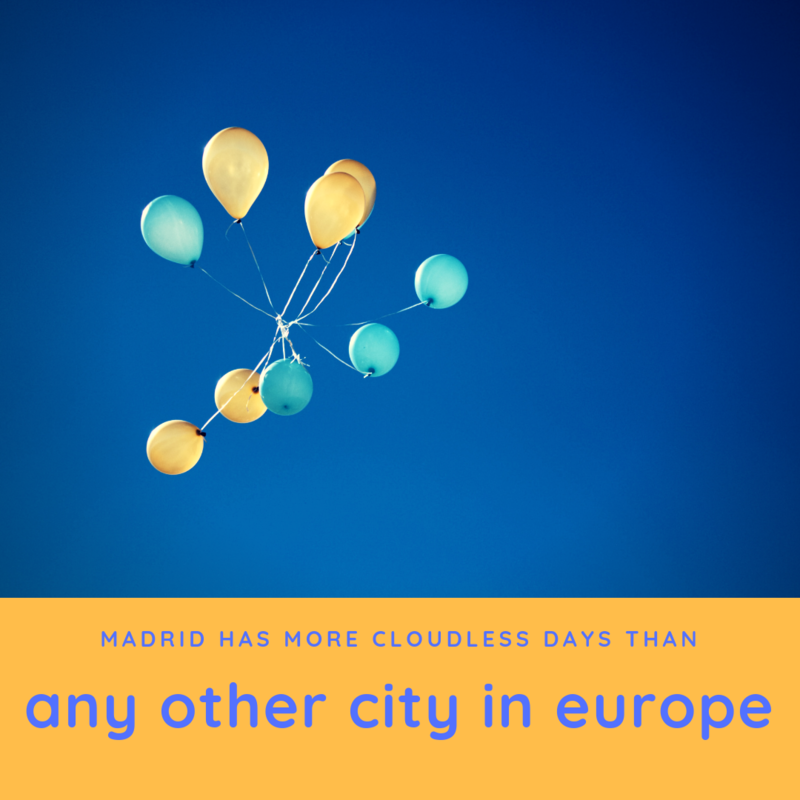 Madrid enjoys around 350 days a year with sunshine and almost 250 of them are with such clear blue skies that it´s almost unbelievable. Needless to say is that Madrid is the sunniest city of Europe and is therefore a great choice to do a study abroad. Built in 1887 by Ricardo Bellver, the only public statue with relation to the devil is a captivating sight in the city of Madrid. The statue shows Lucifer falling from heaven and it is claimed that statue is at exactly 666 meters above sea level, which even makes it more intriguing than it already is. First time it happened in 1561, when King Philip II chose it as a place for its residence due to its location. In 1601 the capital was Valladolid, but after 5 years Madrid got its title back. In 1936, it was decided to move the capital of Spain to Valencia, but two years later Madrid became the capital once again. The European capital of culture is a city chosen by the European Union for a period of one year. In this year the city organizes several cultural events to generate more benefits, raise visibility and change the city image. It is already known that in 2031 a new Spanish city will be chosen and a possible candidate is Granada. Founded in 1725 on Calle de los Cuchilleros, is the oldest restaurant in the world. Sobrino de Botin was started by a Frenchman called Jean Botin and was later inherited by his nephew. They say the flame of the oven burns continuously and the restaurant is mentioned in a novel of Ernest Hemingway.